Buying or selling a home is a huge endeavor with a lot of money at stake on either side. It is important to be aware of costs, but this is no time to shop for a cheap inspection. Rather, look for in-depth training, certifications and guarantees that set your mind at ease. Your residential home inspector should be well-respected in your community with testimonials that are readily available. This blog shares some of the basics of how to choose the right home inspector. The licensing of home inspectors only sets a minimum standard. Much like being up to code, with home remodeling, any less than the standard would be illegal. 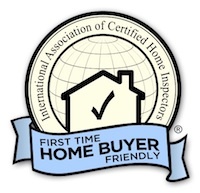 InterNACHI, the International Association of Certified Home Inspectors, front-ends its membership requirements, which means. 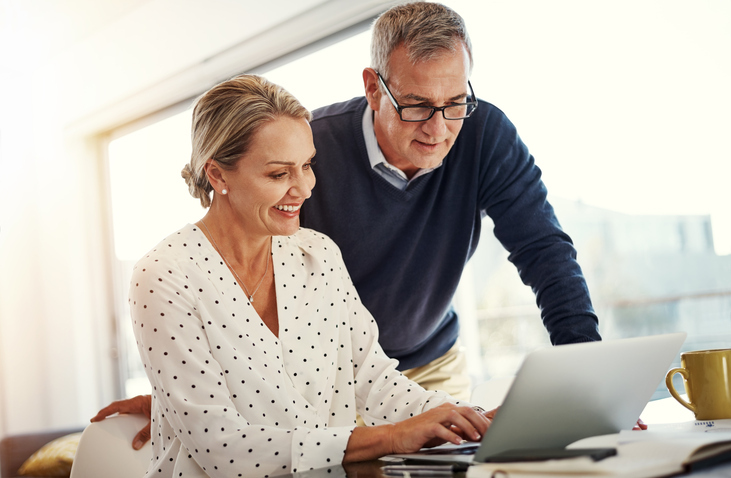 You have recently been crunching the numbers, negotiating offers, adding up closing costs, shopping for mortgages, and trying to get the best deals. Don't stop now, but at the same time you are being conscious of expenses, don't let yourself fall into skimping here. The cost of a home inspection is very small relative to the value of the home being inspected. If there are unexpected repairs, or undiscovered issues, you stand to pay a lot more in the long run, whether buying or selling. Your residential home inspector should have certifications clearly listed on his/her website, along with guarantees from the certifying bodies. InterNACHI is an international organization of home inspectors that provides such guarantees, as well as in-depth training for its inspectors. Trusting a home inspector is easier if you know others do too. Always look for client testimonials on your inspector's website as well. If they don't have any listed, ask for references. Any residential home inspector worth hiring won't hesitate to give you several. Let's talk about Air Quality in the home, and why your home inspector should know all about it. Indoor air quality is generally worse than most people believe. Problems can arise from moisture, insects, pets, appliances, radon, materials used in household products and furnishings, smoke, and other sources. While some air quality problems in a home are just a minor annoyance, some conditions can lead to major health risks. Read on to find out more about what your home inspector should know about air quality, and steps you can take to improve it. Poor indoor air quality can arise from many sources. At least some of the following contaminants can be found in almost any home. Moisture and biological pollutants, such as molds, mildew, dust mites, animal dander, and cockroaches can lead to air quality problems, as can high humidity levels, inadequate ventilation, and poorly maintained humidifiers and air conditioners. Combustion products including carbon monoxide, from unvented fossil-fuel space heaters, unvented gas stoves and ovens, and back-drafting from furnaces and water heaters can also cause problems. Chemicals such as formaldehyde from durable-press draperies and other textiles, particleboard products, such as cabinets and furniture framing, and adhesives, along with radon, can certainly cause air quality issues. Make sure your residential home inspector knows how to check for radon, which is a radioactive gas from the soil and rock beneath and around the home's foundation, groundwater wells, and some building materials. Asbestos, which you may be surprised to note, is found in most homes more than 20 years old. Sources include deteriorating, damaged and disturbed pipe insulation, fire retardant, acoustical material (such as ceiling tiles) and floor tiles. Lead from lead-based paint dust, is created when removing paint by sanding, scraping and burning, and particulates from other sources can contribute to air quality issues, right alongside lead. Think about dust and pollen, fireplaces, wood stoves, kerosene heaters and unvented gas space heaters, not to mention tobacco smoke, which produces particulates, combustion products and formaldehyde. How to get rid of formaldehyde smells in the home. Ask about formaldehyde content before buying furniture and cabinets. Some types of pressed-wood products, such as those with phenol resin, emit less formaldehyde. Also, products coated with polyurethane or laminates may reduce formaldehyde emissions. After installation, open windows. Maintain moderate temperature and humidity. How to prevent biological pollutants in carpet. Promptly clean and dry water-damaged carpet, or remove it altogether. If adhesives are needed, ask for low-emitting ones. During installation, open doors and windows, and use window fans or room air conditioners. Vacuum regularly. Consider area rugs instead of wall-to-wall carpet. Rugs are easier to remove and clean, and the floor underneath can also be cleaned. What if the home I'm buying or selling has building materials containing asbestos? Periodically inspect for damage or deterioration. Do not cut, rip, sand or remove any asbestos-containing materials. If you plan to make changes that might disturb the asbestos, or if materials are more than slightly damaged, contact a professional for repair or removal. Call your local or state health department or the Environmental Protection Agency. Fight biological pollutants in the home. Eliminate moisture sources. Install and use exhaust fans. Use a dehumidifier, if necessary. Remove molds and mildew by cleaning with a solution of chlorine bleach (1 cup bleach to 1 gallon water). Maintain fresh air with natural and mechanical air circulation. Your fireplace can be a source of carbon monoxide and combustion pollutants. Read on for this tip on how to reduce toxins from a fireplace. Open the flue when using the fireplace. Have the flue and chimney inspected annually for exhaust back-drafting, flue obstructions, cracks, excess creosote, and other damage. Install smoke and carbon monoxide detectors. Can an air conditioner affect the air quality in my home? Yes, it can be a source of biological allergens. If there is a water tray, empty and clean it often. Follow all service and maintenance procedures, including changing the filter. Gas and kerosene space heaters can release carbon monoxide and combustion pollutants. Never use unvented kerosene or gas space heaters. In the room where the heater is located, provide fresh air by opening a door to the rest of the house, turning on an exhaust fan, and slightly opening a window. Tobacco smoke contains harmful combustion and particulate pollutants, including carbon monoxide and combustion byproducts. Do not smoke in your home or permit others to do so, especially near children. If smoking cannot be avoided indoors, open windows and use exhaust fans. New draperies may be treated with a formaldehyde-based finish and emit odors for a short time. Before hanging, air draperies to ventilate odors. After hanging, ventilate the area. Maintain moderate temperature and humidity. Paint manufactured before l978 may contain lead. Make sure to exercise caution, whether you're getting your home ready to sell, or planning out remodeling as a Colorado home buyer. Leave lead-based paint undisturbed if it is in good condition. Before removing paint, test for lead. Do-it-yourself lead test kits are available from hardware and building supply stores. Do not sand, burn off or remove lead-based paint yourself. Hire a person with special training to correct lead-based paint problems. Many animals create airborne allergens, such as dander, hair, feathers and skin. Keep pets outdoors as much as possible. Clean the entire house regularly. Deep-clean areas where pets are permitted. Bathe pets regularly. Biological allergens caused by dust mites can trigger asthma. Clean and vacuum regularly. Wash bedding in water hotter than 130 degrees F. Use more hard-surface finishes; they are less likely to attract and hold dust mites. 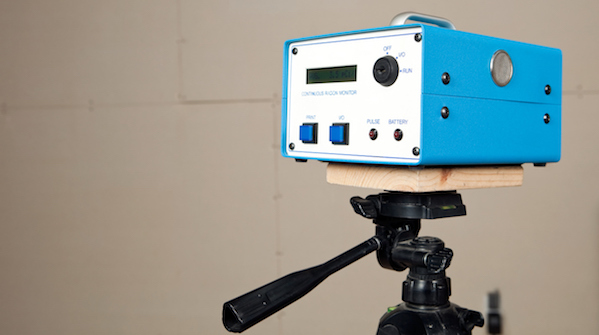 The Environmental Protection Agency (EPA) sets standards for radon measurement in real estate. The EPA's objective is to reduce misunderstandings and protect public health. First, it seeks to provide home buyers, sellers, real estate agents, and testing organizations with a common basis for understanding the recommended testing procedures. Second, the it hopes the widespread implementation of these guidelines will produce results that are reliable indicators of the potential need for mitigation. A significant proportion of radon measurements are conducted as part of real estate transactions, and all aspects of these transactions are carefully scrutinized. Specific guidance from the EPA can help ensure trustworthy results. When the results are interpreted properly and the appropriate remedial action is taken, these protocols will assist buyers and sellers in reducing the risk to the home's occupants from radon exposure. The availability of nationally recognized protocols for radon measurements, and for the interpretation of the measurement results, helps home buyers, sellers, real estate agents, builders, lenders, and radon measurement experts. The reliability of each radon measurement made for a real estate transaction, or for any purpose, is highly dependent upon the existence and documentation of an adequate quality assurance program implemented by both the tester and the analysis laboratory. All the parties involved in the real estate transaction depend upon the testers doing their jobs. This includes ensuring that the measurements are valid via the performance of quality control measurements and activities and detecting measurement interference. The protocols outlined in this section were developed by the EPA for testers and homeowners adhering to the quality assurance practices summarized in Part 4.4, and in the EPA's Indoor Radon and Radon Decay Product Measurement Device Protocols (EPA 520-402-R-92-004; U.S. EPA 1992c). The EPA investigated a variety of options for real estate testing. It recommends testing in advance of putting the house on the market. A long-term test, which is conducted for longer than 90 days, is the most representative indication of the annual average radon concentrations in a home. However, for time-sensitive real estate transactions, there are three short-term testing options. Short-term tests are conducted from two days to 90 days, depending on the measurement device. Based on extensive quantitative analyses to evaluate the frequency with which long-term and short-term testing results lead to the same mitigation decision, the EPA and its independent Science Advisory Board concluded that short-term tests can be used to assess whether a home should be remediated. Mold is not usually a problem indoors - unless mold spores land on a wet or damp spot and begin growing. As molds grow, they digest whatever they are growing on. Unchecked mold growth can damage buildings and furnishings. Molds can rot wood, damage drywall, and eventually cause structural damage to buildings. Mold can cause also cause cosmetic damage to furnishings. The potential human health effects of mold are also a concern. It is important, therefore, to prevent mold from growing indoors. Although the issue of whether exposure to indoor fungi causes adverse health effects is controversial, there is no doubt that a seriously mold contaminated building can suffer structural damage, and that a foul-smelling, fungus filled building is aesthetically unpleasing. Controversies about health effects aside, the aesthetic and structural effects alone are enough to merit a complete mold inspection. If an area is found to have fungal contamination, remediation is an important next step. People who have concerns about structural damage or the aesthetic effects of indoor fungi should seek the services of a certified mold inspector. People who have concerns about health effects of a mold exposure should seek the advice of a healthcare professional. Inspectors must understand and study building science in order to understand how to find mold and prevent its growth in a building. Building science, in relation to mold growth is the study of the building dynamics as affected by moisture intrusion. Buildings are dynamic environments influenced by people, HVAC design and operation, weather conditions, seasons, geographic location. These dynamics continually change and affect the conditions conducive for mold growth. A building can become a perfect place for mold growth when it has construction flaws, if systems or components are damaged, or experiences delayed maintenance. Any part of a building that facilitates the entry of moisture into its materials creates the potential for mold growth. Home owners must be diligent in detecting and preventing mold. [VIDEO]: What Really Matters in a Home Inspection? Buying or selling a home can be an overwhelming, stressful endeavor. A home inspection should not add to that stress. While a home inspection is a complicated, detailed process to be done by certified professionals, it doesn't have to be a confusing mystery. A home inspection is supposed to give you peace of mind, but often has the opposite effect. You will be asked to absorb a lot of information in a short time, but it doesn't have to be so stressful. Let's watch this video from our partners at InterNachi. What does "safety in the workplace" mean for the home inspector? Home inspection safety starts with knowledge and then extends to the application of that knowledge to what you do. Safety requires diligence, especially as there is no governmental agency or workplace watchdog to ensure that inspectors are properly protected. Most importantly, knowledge about safety requires the ability to recognize potentially unsafe situations, and the courage to resist performing those inspection tasks. After all, a life is worth more than the amount charged to perform an inspection. Because there is no governmental oversight agency that regulates what inspectors do on the job, safety is a matter of personal responsibility. Successfully completing a course on inspection safety is a good start, but it is even more important to implement what you learn. Simply knowing that dangerous conditions exist is not enough. Appropriate action needs to be taken. This can mean making sure that you have the proper equipment available and ensuring that it's in good condition and taking the time to learn to use it properly. It also means learning where to look, knowing what to look for, and using good judgment before you act. Potentially hazardous conditions are not always obvious, so inspectors should remember to be vigilant about certain dangers, depending on the circumstances, home conditions, and even geography and region. Inspectors must take responsibility for learning about the hazardous conditions unique to the areas where they work. Inspectors also need to be realistic about their physical abilities. The ability to perform certain tasks varies from person to person. A task such as walking a roof or entering a crawlspace that might be easily accomplished by one inspector may be difficult for another. Most of us are aware of our own limitations, which may change over time. For each of us who performs home inspections, knowing our limitations and respecting them will help keep us all safe. In many states in the Union, it is required to have a state issued license to inspect a home. This is not so in Colorado. However, it is very important that any inspector you choose is certified by a reputable association. InterNACHI is the foremost authority in the industry when it comes to the Inspection Standards of Practice (SOP) adopted in the industry by many other inspection entities. Prior to the mid-1970's the industry had no standard policies, procedures or guidelines and really no oversight or licensing. More important now than ever, it is essential to make sure your residential home inspector is certified and affiliated with an inspection organization. It's not smart to have a handyman or Uncle Fred take a look, because without training they are likely to miss something that will be very costly into the future. If the inspector is not trained, they're just looking around without much purpose. Home inspectors are not experts in every aspect of a home but are trained to identify conditions that may require a specialist. Whether having a home inspected in Colorado, or elsewhere, training is essential. Inspectors certified by InterNACHI are expected to abide by the established Code of Ethics. There are many guidelines but several of the most important are keeping the public trust, be fair, be honest, and act in good faith at all times. Your Colorado home inspector should not discriminate on the basis of religion, color, race, sexual orientation, national origin, gender or handicap. In general, the residential home inspections in Colorado are similar to most parts of the country. However, on the occasion when there is snow present of roofs, and the grounds in general the inspector has to make sure the parties know these items could not be inspected in full. Purchasing a home is a momentous occasion and could probably be the largest investment you’ll ever make. One of the important decisions you’ll make during this process is to have the home inspected by a Certified Professional Inspector. What is a Residential Home Inspection? A home inspection is a visual examination of the condition of the home at that point in time at which it was inspected. It is not a guarantee of future condition, or the life-span of the components of the home. An inspection will give you a clear and honest appraisal of the home's condition at the time of inspection. Whether there are repairs to be made, or the home is in perfect condition, a home inspection is meant to provide the peace of mind that comes from knowing all the facts. When performed by a reputable, certified inspector, a residential home inspection allows you to buy with confidence and speed the closing process as well. The inspection report itself will point out any defects or deficiencies in the home, giving you and idea of possible repair costs or maintenance needs for your new home. A good home inspection report will have all the pertinent narrative, color pictures and give you the knowledge you need to make an informed decision about your pending real estate purchase.